A family business can mean many things. Different family members contribute in different ways. 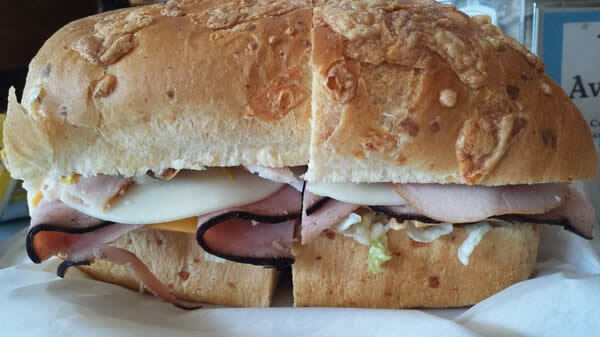 This story is about how my Dad “Pops” discovered a Deli 25 years ago and found a very unique sandwich called The Poor Boy. This sandwich was so big it would feed him, my younger sister and I. Now Pops is a hard worker and a big eater. This Deli was located on the edge of town amongst wrecking yards and big machinery equipment lots. One step inside was a sea of baseball caps, blue jeans and dirty work shirts. Pop would walk in with his two young daughters. One look at the man behind the counter and he knew what we wanted to eat, The Poor Boy. My sister and I weren't asked what we wanted, we knew to sit down and wait for whatever was coming our way. Then it came. 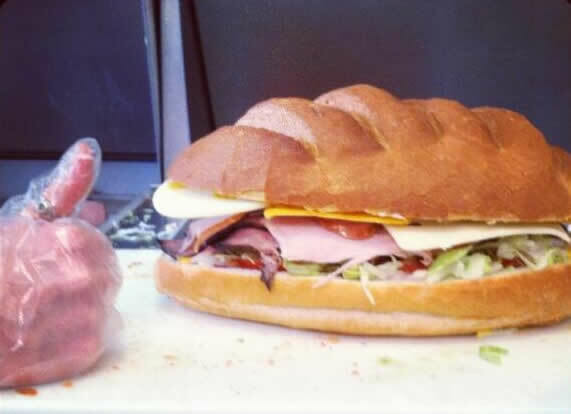 The biggest sandwich I ever saw. Pop would dig into the basket giving each of us a good size wedge of this monstrosity. 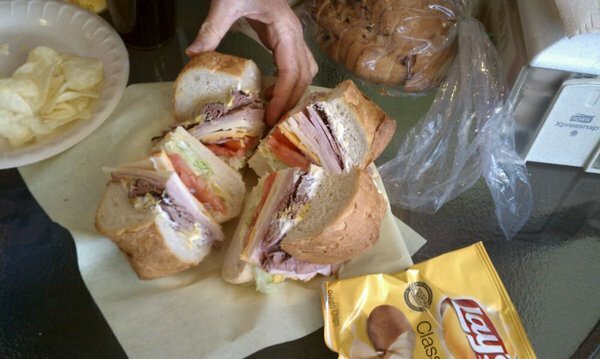 There was almost a moaning among us as we bit into this sandwich to beat all other sandwiches. Nothing had ever tasted better and nothing ever would. After finishing somehow we got up from the table and walked back to our pickup. We were all smiles. I was 14 that summer. Each time we went back to that Deli we had the identical experience. 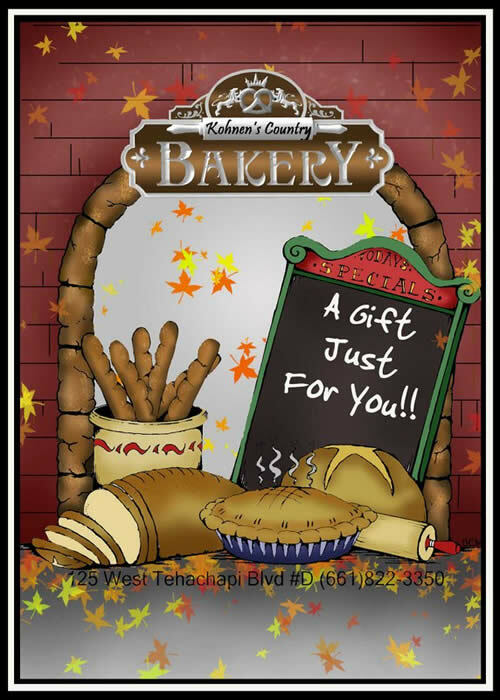 As we approached the opening our new Bakery in Tehachapi, the Poor Boy and the memories of going to that Deli with my Dad and sister kept coming to mind. I had married a baker after all. 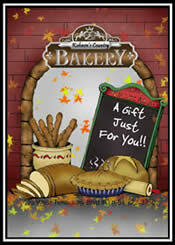 Why couldn't we make me an oversized loaf so I could bring back one of my fondest childhood memories? I asked our baker, my husband Thomas, to make me a circular sheepherders loaf, but not too big. A person had to be able to bite into it once it was made. The first batch was too large. So we scaled it down a few ounces. As soon as the second batch came out of the oven I knew we had it. I could hardly wait for them to cool so I could cut and fill them. I began by generously slapping mayo on both sides, then the mustard and so on. I put it back together, began to quarter it as it began to slip away from me. It's a sandwich that's challenging to control. But where there's a will there's a way. I had to put my whole body into cutting it. It was like an unveiling as I shared it that day. 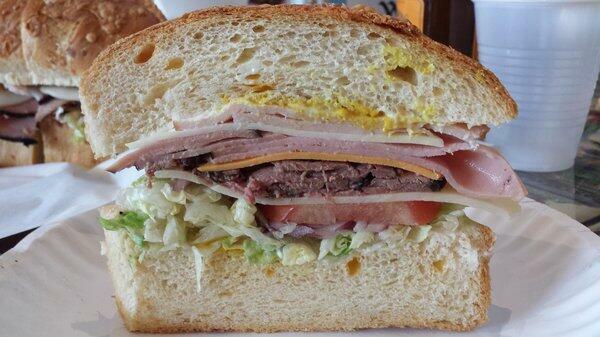 It's a love at first sight type of sandwich. And it's not for the meek. You've got to be seriously hungry and don't come alone. We say it serves two, yet groups of three to four tackle it. Side that with our special ice tea served in mason jars. All thanks to my Pop and a remote Deli 25 years ago, 425 miles away in Redding, California. Almost daily, as I drive home from work, I'll call my Dad and his first question is “How many Poor Boys did you sell today?” We are both pleased as punch that so many Tehachapians appreciate a memory reborn.